Furniture - LIVING AND CO.
Beautiful round Bloomingville Tapa side table. This Bloomingville Tapa table is made of white MDF and has natural wooden legs. The dimensions of the table are approximately 45 cm high, the diameter is approximately 50 cm. Beautiful Bloomingville Ronda side table. 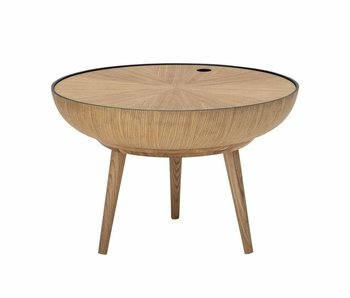 This Bloomingville Ronda table is made of natural oak and has a beautiful shape. The dimensions of the table are about 40cm high, the diameter is about 60cm. Beautiful Bloomingville Cal side table. 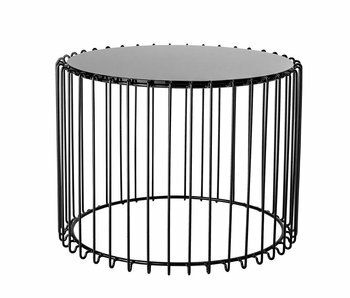 This Bloomingville Cal table has a black glass top with black metal base. The dimensions of the table are about 40cm high, the diameter is about 54cm. Beautiful Bloomingville Bene side table. 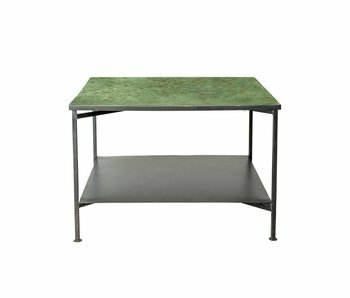 This Bloomingville Bene table is made of green metal with a vintage finish. The chassis is made of black metal. The dimensions of the table are approximately 40cm high, the width and length are 60cm. Beautiful Bloomingville Cone side table. 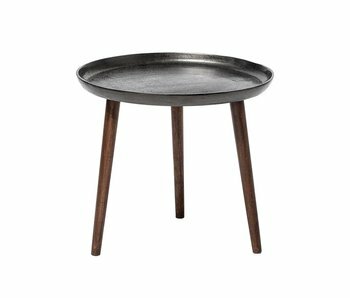 This Bloomingville Cone table is made of black aluminum and has wooden legs. The dimensions of the table are approximately 45 cm high, the diameter is approximately 50 cm. Beautiful Bloomingville Nuevo side table. 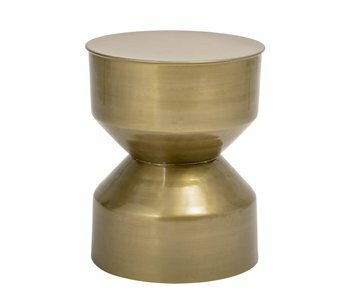 This Bloomingville Nuevo table is made of white marble with gold colored metal base. The dimensions of the table are approximately 50 cm high, the diameter is approximately 57 cm. Beautiful Bloomingville Baril side table. This Bloomingville Baril table is made of natural cane and has a nice shape. The dimensions of the table are approximately 35 cm high, the diameter is approximately 60 cm. Beautiful Bloomingville Bordo wall shelf. This brown Bloomingville Bordo wall shelf is made of metal and has a length of 70cm. 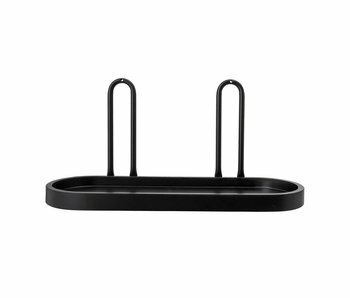 How do you combine this wall shelf? Beautiful Bloomingville Bordo wall shelf. This gray Bloomingville Bordo wall shelf is made of metal and has a length of 70cm. How do you combine this wall shelf? Beautiful Bloomingville Walk wall shelf. This black Bloomingville Walk wall shelf is made of MDF and iron. Nice combined with the other Bloomingville items! Beautiful Bloomingville Walk wall shelf. This blue Bloomingville Walk wall shelf is made of MDF and iron. Nice combined with the other Bloomingville items! Beautiful Bloomingville Walk wall shelf. This green Bloomingville Walk wall shelf is made of MDF and iron. Nice combined with the other Bloomingville items! Beautiful Bloomingville Walk wall shelf. This Bloomingville Loop wall shelf is made of MDF and iron. Nice combined with the other Bloomingville items! Beautiful Bloomingville Pont side table. 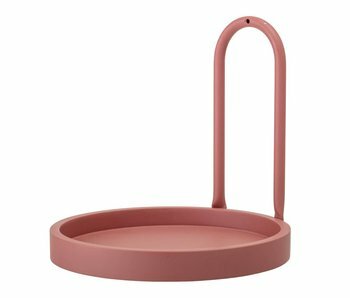 This Bloomingville Pont table is made of metal and has a nice shape. The dimensions of the table are approximately 55cm high, 45cm long and 30cm wide. Nice combined with the other Bloomingville items! Beautiful Bloomingville Pretty side table. This Bloomingville Pretty table is made of silver-colored metal. The dimensions of the table are approximately 60 cm high, the diameter is approximately 30 cm. Beautiful Bloomingville Ellis side table. 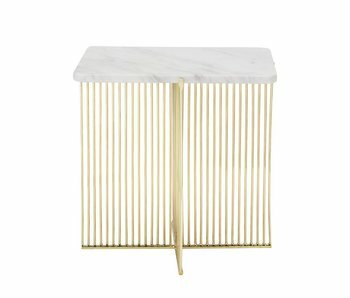 This Bloomingville Ellis table is made of white marble with gold colored metal base. The dimensions of the table are approximately 47 cm high, the width and length is 45 cm. 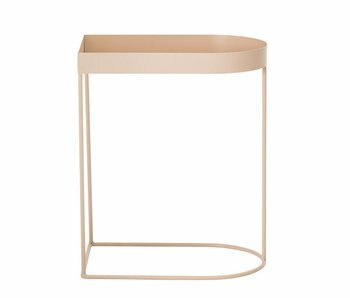 Beautiful Bloomingville Linea side table. This Bloomingville Linea table is made of brass and has a nice shape. The dimensions of the table are approximately 47 cm high and the diameter is 38 cm. Beautiful Bloomingville Dia pouf. This Bloomingville Molto pouf is made of gray polyester and has a wooden frame. The dimensions of the footstool are approximately 42cm high and the diameter is 102cm. Beautiful Bloomingville Dia pouf. This Bloomingville Dia pouf is made of gray polyester and has golden details. The dimensions of the footstool are approximately 40cm high and the diameter is 55cm. Beautiful Bloomingville Rota pouf. This Bloomingville Rota pouf is made of material from the water hyacinth. 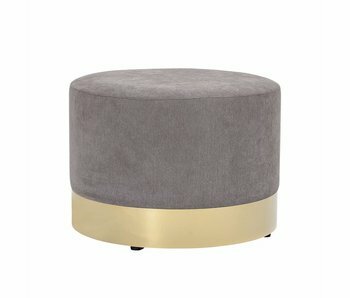 The dimensions of the footstool are approximately 40 cm high and the diameter is 75 cm. Beautiful Bloomingville Boston pouf. This Bloomingville Boston pouf is made of 85% wool and 15% cotton. The filling is made of polyester. The dimensions of the footstool are approximately 41cm high and the width and length are approximately 61cm.